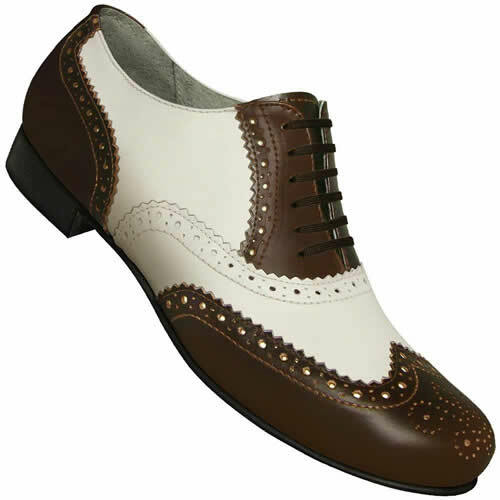 These are a handmade reproduction of classic Swing Era oxford dress shoes. Features the Aris Allen Raw Sole: a flexible leather sole and heel with a rubber layer in the middle of the heel for extra shock absorption. The footbed is lined with foam so it is much more comfortable and supportive than most ordinary dance shoes. Designed for the intermediate / advanced dancer - Also great as a second pair for beginners since the "fastness" of the sole forces you to "find your center" immediately.